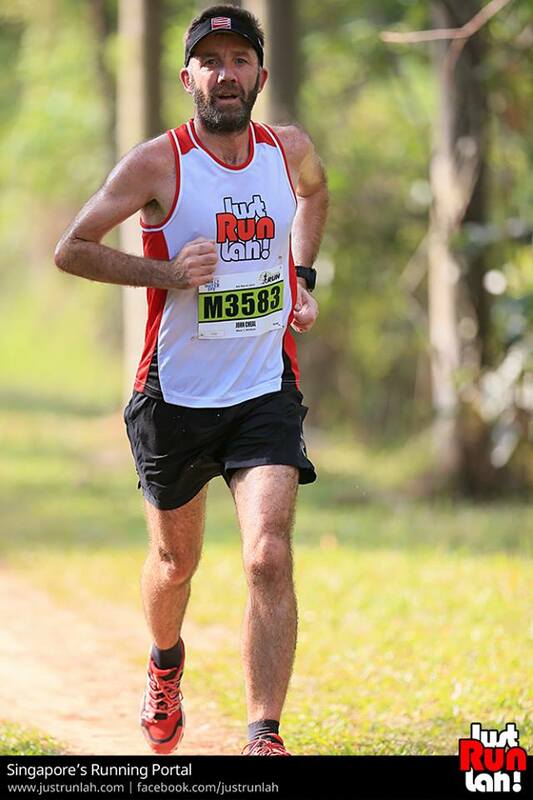 Race Review: The Green Corridor Run 2015 (by 'sinaistrider') | JustRunLah! I was woken by my clock at around 0715 for this year’s Green Corridor Run. Headed down to Tanjong Pagar Station in a taxi with The Claw. It’s our last build up run for the upcoming TransLantau 50k in Hong Kong (more on that in a future post) and whilst a 10k run along an old railway line isn’t perfect prep for 2700m of mountain running, we are both very fond of this race, so there was no way we were going to miss it. I’m running back home after the race, so no baggage drop for me, straight into the starting pen around 0810 and it’s like Norm in the bar at Cheers. Virtually every runner I know in Singapore seems to be here, Lexus, Stu and the F1 gang (30 F1 runners in this event! ), the rest of the Mount Sinai Striders (Ben, Rob, Jeremy), Conor (my strava segent chasing nemisis) and Azlan (fellow Nuke Optic TransLantau runner) & many more. 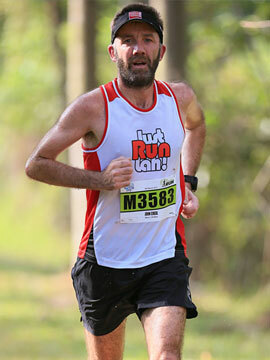 After I while I spot our estemmed JRL Co-Founder Peter, also sporting the very funky JustRunLah! vest and we exchange a quick ‘good luck’. The VIP did a good job with a short and to the point speech and we were flagged off on time. Quick comment on the start time. 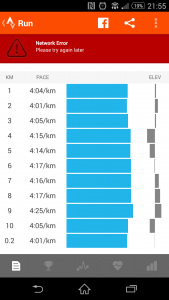 The first year of Green Corridor, we went off at 0700 – good for runners, but apparently not so good for Everton Park residents who (I am told) complained about the noise and so got the start moved back to 0900 last year and this year. Thing is, this means that the slower runners are running at 1030/1100 and that’s just too late, too hot. I hope the organisers can reach a compromise with Everton Park and maybe start at 0800 from next year. It really is the only negative point about this race! Back to the race itself. 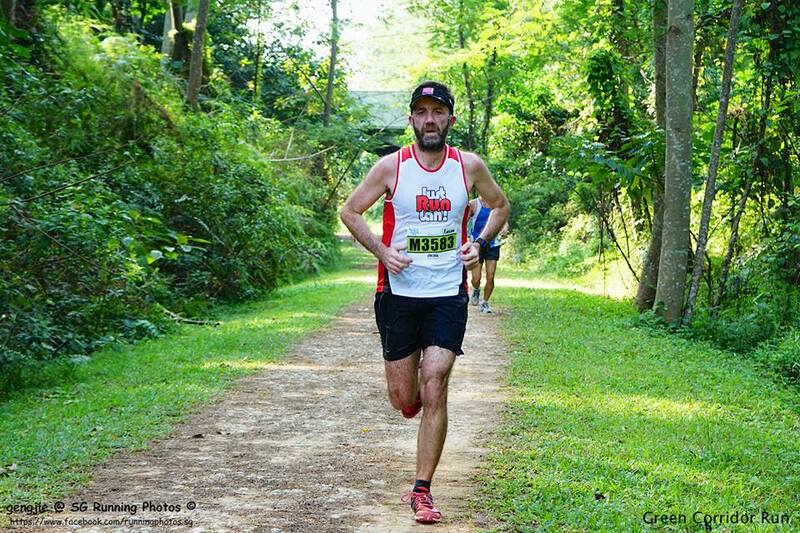 I was torn as to a strategy today – on the one hand I am running 50k next saturday, so it’s probably not a great idea to waste any energy beforehand, on the other hand, its a race and I can’t not race a race. So I decide to use today to try the ‘steady and build’ race plan, which is not one of my strengths – so it could do with some practice. 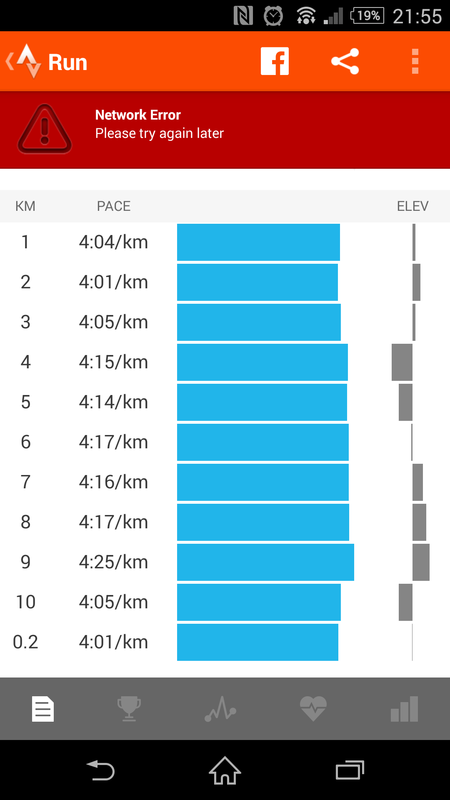 I set off at a decent but not stellar pace, avoid a mishap in the argy-bargy of the first kilometre, plan is to hold that pace thru 5-6k then try to pick it up. 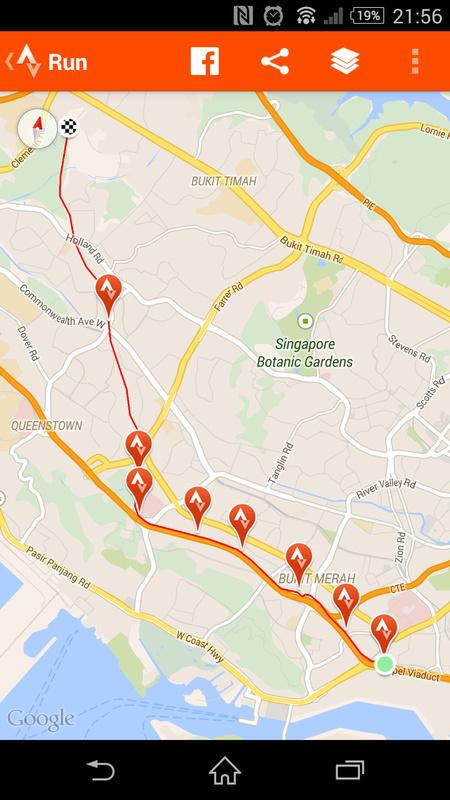 This works out pretty well and I am at Buona Vista before I really have time to think about it. Then I remember that Peter said the JRL photographer would be around 6.5km, so I’m trying now to focus on looking good for the cameras in my awesome JRL vest. I saw him just on the trail in Ghim Moh – and I have to say I’m delighted with the result! Pushing on up past Holland Road I am now playing a game of ‘pick them off’ – where I look up the trail, pick 1-2 runners in the distance and just focus on catching them up, nothing else. Last year I was too hesitant with the final push, this year I am feeling great, no fatigue, no heat problems, so I push on and finish strong with Stu yelling at me from the sidelines. 42.40 on the watch, 5 and a half minutes faster than last year and finishing very comfortably with next weekend’s run in mind. Two bottles of water and time for a post race catch up with Lexus, Stu & Ben. Then one by one my other running buddies come over the line. A great vibe at the finish area, just as there was down in Tanjong Pagar an hour earlier. Highlight of the finish area was a catch up with Jason (The Reawakened Runner) who is here cheering his buddies and taking pics – great to see you man. What is it about this race? Seems to bring out the best in everyone – great etiquette, great performances, great camaraderie. With no finish line downpour this year, I wander off with Jeremy and The Claw for a recovery run home. 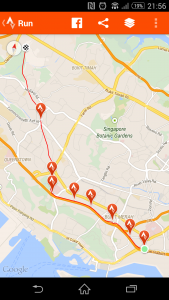 For Jeremy this turns into an epic – he runs to Keppel Bay via the Southern Ridges (! ), for me it’s a 6k jog back to Mount Sinai and a cold shower. Still my favorite race in the Singapore Calendar, still an awesome place to run. With each year I know a few more runners – and so far, I am shaving off a few minutes each year as well! Can’t wait til Green Corridor 2016! Stats as below. 42:40 for 25th place (unconfirmed). Kudos on your run. Looked like a great event. My friends were disappointed w the gun time. The 2nd wave was delayed 20min and the heat was difficult but they still enjoyed the route. Look forward to exploring it for myself once my ankle heals. Was disappointed I couldn’t make the race. Good luck w your 50km race. Thanks – yeah you should put this one on your race calendar in future, but must select wave 1 ! well done! feeling jealous… next year is my return!! !